Ian Gillan, Deep Purple: "We have just finished a new record and it will be out next February"
He is 71 years old, and the legendary "Highway Star" and "Smoke On The Water" still rock the crowd of thousands. Years later, the breakthrough "Child In Time" in his performance remains inimitable, however, as well as dozens of other songs that have had a significant impact on hard rock, and later on heavy metal and other genres. Ian Gillan doesn’t consider years spent in Deep Purple and he doesn’t know the exact number of the band’s records. However, he knows for sure that he is preparing to fans the next opus of the masters of the genre. In anticipation of the musician’s solo concert in Kyiv, Noizr Zine asked the singer about working on an anniversary album, should the fans wait for the band’s "classic line-up" at its 50th-anniversary concerts, and what is his grand career best remembered for. 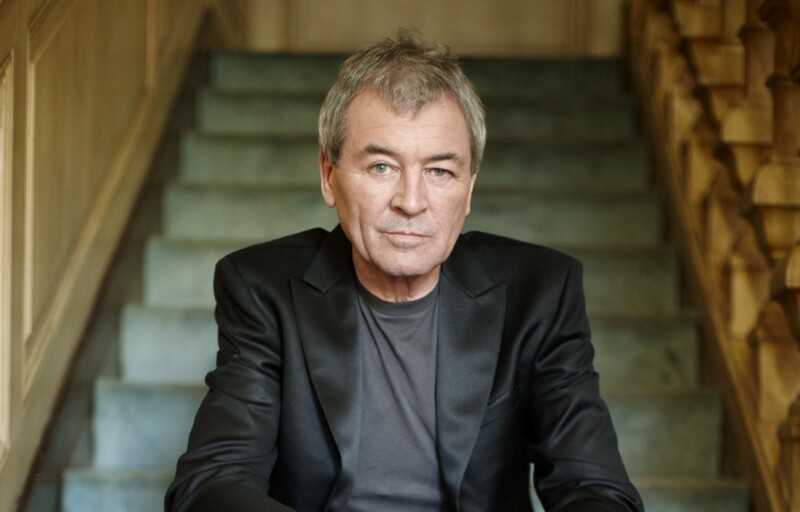 These and other topics in a brief interview with Deep Purple’s vocalist Ian Gillan. After long years of the fans’ lobbying, Deep Purple's members were inducted into the Rock and Roll Hall of Fame. What do you think about this induction, and in general about the Rock and Roll Hall of Fame? What's your opinion on the fact that rap and hip-hop artists become nominees in recent years? Ian Gillan: Well, it is a nice thing for all the fans and the families and our business connections. If I criticize it I will sound churlish, but for all my life I have tried to avoid being institutionalized and I just don’t get it. I have nothing against Hip Hop or Rap, if only I could tell the difference. There were a lot of rumors about Deep Purple’s 20th studio album on the Internet. Also back in 2014, Roger Glover noted that the band has gained some fresh ideas. Are you planning to release the anniversary album? Please, tell us about your work at the studio and what should your fans expect from the new LP? Ian Gillan: Anniversary album? What anniversary would that be? I have lost track of our history, after the first few centuries things started moving at an ever increasing rate, accelerating to a point where our momentum was outpacing our progression, and that’s a hard thing to do when one of your wheels comes loose. We have in fact just finished a new record and it will be out next February. There is much excitement in the camp as our producer, Bob Ezrin, has kept us firmly on track. The only thing I can say about the album, without giving the game away (all will be revealed in due course), is that I am amazed that the guys can still pull out of the hat some groundbreaking ideas; there is stuff on this project, the like of which I have never heard before. Some zines have repeatedly posted such lists as "Deep Purple's albums ranked from worst to best", of course, they all are different. We want to know your opinion on this matter, which Deep Purple’s album would you call the worst and the best and why? Ian Gillan: Good question, of course, these things are always subjective. It is the parallax effect on music, it depends on where you are standing (or lying) at the time. Personally, my least favourite DP albums are "The House of Blue Light" and "Who Do We Think We Are". The reason is not because of the songs, there are some killer tracks, but because I was there and the atmosphere was not so good during the 'making of'. So, there’s an element of sadness in my personal feeling. The best, so far (he he) are "In Rock", because it was the first (not counting the "Concerto") and the first time for anything is always the best…and "Now What?!" because it was the day we found our feet again and also it was, by far, the best sounding DP record of all time. If you ask me this question again tomorrow, I will give you different answers, because music is a thing of mood, and my moods are whimsical. Your rock'n'roll career has been lasting for almost 50 years. What is it best remembered for? If you were able to start life all over again, would you associate it with the music? The musicians quite often respond that they wouldn’t do that. Ian Gillan: How time flies, is it really that long? Best remembered for? For me or the fans? As I said earlier the first time for anything is always the best, so August 1969, one night at the Speakeasy Club in Margaret St, London. The first performance with Deep Purple. Roger and I joined together, not just as a singer and bassist, but as a songwriting team. I looked at him, he looked at me and we realized that this was the group we had been dreaming of for years. A magic moment; never forgotten. In two years there will be Deep Purple’s 50th anniversary. Have Deep Purple’s members already planned this celebration? Therefore, is there any chance to see the band in its Classic line-up with Ritchie Blackmore? Maybe just for a tour or one concert? Ian Gillan: Ah, THAT anniversary! I never remember even my own birthday, as I hated birthdays when I was a small child. I would get smothered in kisses from grannies and aunties and buried in folds of lavender scented flesh… all of which I found suffocating and embarrassing… I was scarred for life! There is no celebration planned so far; we have not even talked about it. The main conversation amongst the band is football and bizarre spontaneous, sometimes surreal and always hilarious, banter. Ritchie left us over twenty years ago and we have been divorced aver since. As we are having such a wonderful time, why on earth would we go back to the dark ages and make everyone miserable again, just to go through the motions? Ridiculous idea; it’s a beautiful day and the sun is shining; life is grand. Thank you, and looking forward to seeing you at the show in Kyiv, at the Ukraine Palace on Friday 11th November. Waaaaaaaaaaaaaaaaaaaaaaaaaaa! I can’t wait! Do not miss Ian Gillan sings Deep Purple with Don Airey Band in Kyiv!